Today's featured Car Of The Day......a 2005 Chevrolet Suburban 1500LT. This pre-owned SUV has only 64,254 orginal miles on it and is a one-owner vehicle. It has a third row and seats 8 passengers. This big boy has tons of room and all rows fold down with ease to accomodate a variety of cargo situations. It has a clean title history, no flood or frame damage. This vehicle has been fully serviced, professionally detailed and is Pumpkin Certified. This pre-owned Suburban has any and all luxury features you can think of. From OnStar Recovery System and a DVD Entertainment system to power/heated leather seats with memory positioning and lumbar support, you'll never want to leave your vehicle again. Some of the other great features include a remote start engine for those cold winter mornings, AM/FM Stereo with a 6-disc CD Changer, power pedal adjustments, climate control for both the front and rear, running boards and a complete tow package. This vehicle comes with a NJ State Inspection sticker good thru 2011 and has an MSRP of $50,300.00....Our selling price is only $20,995.00! If you want to save thousands of dollars over the cost of a brand new one, then stop by and check out our pre-owned Suburban, it runs great and we agree that its better than new! If you need financing, we have that available and a credit application can be found online on our website at http://www.pumpkincars.com/. 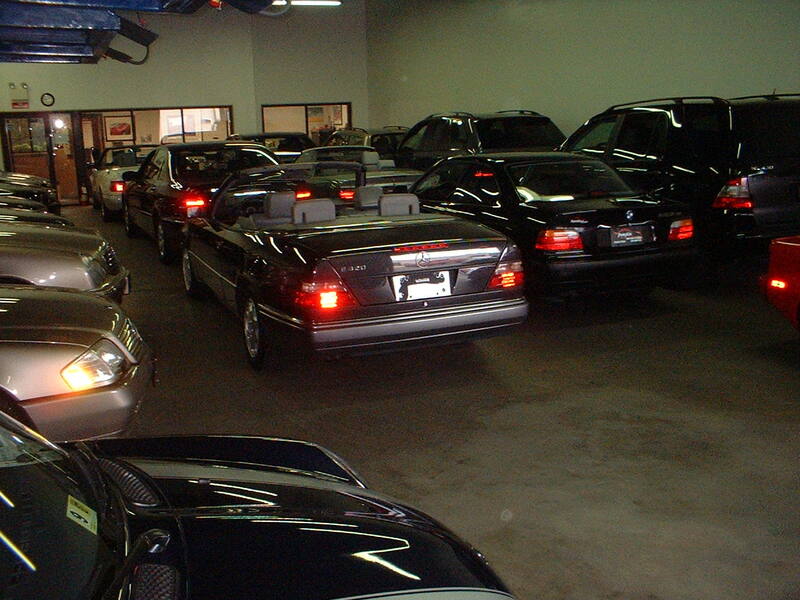 For more information or if you would like to see a complete list of our inventory, click here. featured Car Of The Day! A one-owner vehicle with only 42,069 original certified miles, it is currently under a Factory Powertrain Warranty until Nov. 2010 or 60k miles, whichever comes first. This pristine SUV has tons of room and lots of value. One of the most affordable and economical 8-seater SUV's on the market with all the legendary reliability and reselling value of a Honda. It has a third-row with 8-passenger seating capacity, both rear rows fold down with complete ease making it great for transporting cargo as well as passengers. Some of the luxury features include power/heated seats, leather interior, AM/F M/Weather band Stereo with a 6-disc in-dash CD Changer, privacy glass windows, 16" alloy wheels and rear air conditioning. This pre-owned Pilot is a clean car with a clean title history, no flood or frame damage. It looks, drives and even smells like new! The color is a unique metallic graphite, you probably won't find another one like it around for miles. The gray leather interior just highlights the exterior magnificently. This vehicle, as with all of our vehicles, has been fully serviced, Pumpkin Certified and professionally detailed. If you are interested in taking this vehicle for a test drive, stop on by our unique indoor showroom. Call us in advance and we'll have it pulled out and ready for your arrival. 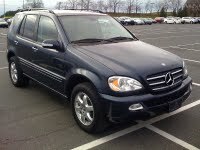 For more information on this pre-owned SUV or other pristine vehicles in our inventory, log onto http://www.pumpkincars.com/. We have financing and warranties available and you can find detailed driving directions online as well. We want to thank you for visiting our blog and we hope to see you real soon! Pumpkin Fine Cars & Exotics' Car Of The Day.......a 1999 Mercedes Benz E 320, 4-door sedan with 80,270 original certified miles. This silver beauty is one of the classic, more popular models in the Benz family. Probably one of the best selling mid-sized sedans around. This particular pre-owned E320 drives great, runs like new and has some of the highest safety standards to-date. The wood interior trim along with the black leather is a nice touch to the silver exterior. The title history is clean, no flood or frame damage. Some of the luxury features include power heated seats with memory positioning, an AM/FM Stereo with a 6-disc CD Changer, power mirrors with an auto-dimming feature and 16" alloy wheels. This pre-owned Benz has been fully serviced, Pumpkin Certified, professionally detailed and is ready to be test driven. To schedule a no-obligation test drive, contact us in advance and we'll make sure the vehicle is warmed up and ready for your arrival. If you need financing or warranties, we have credit applications online at http://www.pumpkincars.com/ and we have a varitey of extended service plans to meet everyone's needs and budgets. If you would like to see additional information on this vehicle or more pre-owned, pristine vehicles like this one, log onto our website or simply click here. We want to thank you again for visiting our blog and we look forward to putting you into a Pumpkin Fine Car in the near future. For more information on Pumpkin Fine Cars & Exotics and the history behind the name, log onto our website, http://www.pumpkincars.com/. Pumpkin Fine Cars & Exotics' Car Of The Day.....2006 Honda CR-V SE 4x4. This economically friendly, 4-wheel drive, SUV with only 44,646 original certified miles is a great fi nd. With its 4-cylinder engine it will give you all the power of the standard SUV without breaking your pocket. Honda is known for its quality and craftsmanship and this CR-V is no exception. It drives great, nice and smooth and has plenty of comfort and space. This pre-owned CR-V is a one-owner vehicle, very clean and well maintained. The title history is clean, no frame or flood damage. It is originally a New Jersey vehicle and still has some Factory warranty remaining until November 2010. This pre-owned Honda is not the base model, but a top-of-the-line, Special Edition SUV featuring lots of luxury options. The tan leather interior compliments the white exterior with class. Power heated seats, power windows, power locks and power mirrors are just the tip of the iceberg. This vehicle also has an AM/ FM Stereo with a 6-disc CD Changer, privacy glass windows, alloy wheels and a moon roof. You can have all of these luxury features, along with the quality that you look for in a car, and you can have it for the affordable price of 17,995.00. This vehicle has been fully serviced and Pumpkin certified. If you would like to schedule a test drive, contact us at (609)646-7676 and we'll make sure its ready for your arrival. If you need financing, we have that available too. You can find out further information and even fill out a credit application on our website at http://www.pumpkincars.com/. Thank you for visiting our ad, we look forward to seeing you soon! Pumpkin Fine Cars & Exotics' Car Of The Day... A sporty, 1999 Mazda MX-5 Miata, fire red with a tan vinyl convertible top and 93,300 original miles. This little lady with its 4-cylinder engine, has got some definite pick-up and packs a nice punch. Great smooth ri de, its 5-speed manual transmission does just what you want it to do with precision handling and lots of control. Its a clean car, well serviced and professionally detailed. This Miata, orginally from New Jersey, is ready for a new home. This cute little car can be yours for only $6495.00. So stop on by for a free test drive! This pre-owned MX-5 has lots of options. Tan leather interior, power windows, power locks and power mirrors, anti-lock brakes, cruise control and tilt steering wheel. The AM/FM Stereo is backed by a premium sound system and has a manual convertible top. To see more photos of this car, click here or log onto our website at http://www.pumpkincars.com/. Our website has everything you need from a complete listing of our pristine, pre-owned vehicles like this one, to detailed driving directions to our unique indoor showroom. If you need financing, or are interested in the warranties that we have available, contact us at (609)646-7676 or see our website for more information. We thank you again for visiting our Car Of The Day and we hope to see you soon! 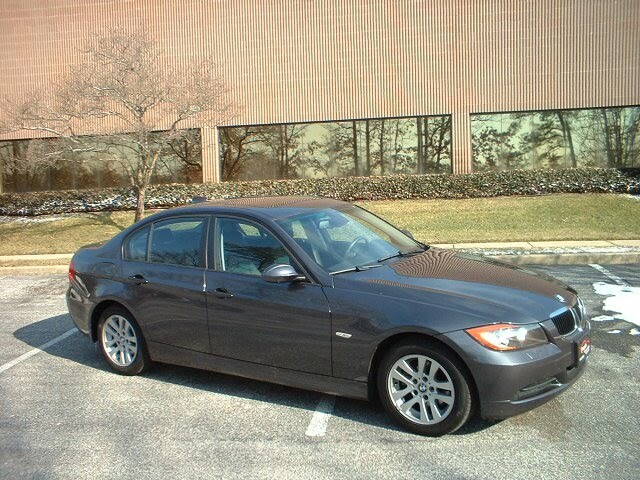 Today's Car Of The Day is a 2003 BMW 325i with only 49,217 original miles. This pristine pre-owned, sporty sedan with its precision handling, space and comfort makes this a top-of-the-line mid-size sedan. BMW is known for its class and integrity and it shows. The previous owner of this 3-series took really good care of this vehicle and it shows. It runs and looks like new but at a fraction of the cost. You can buy it from Pumpkin for only $14,995, well under book value! The blue exterior and tan leather interior makes a great color combination and it has the classic wood trim. This pre-owned 325i comes with an extended warranty good thru September 2012 or 78k miles, whichever comes first. Loaded with features including power seats with memory positioning, power windows, locks and mirrors. The mirrors have an auto-dimming feature and the AM/FM Stereo has a CD Player. The vehicle is also equipped with a moon roof and 16" alloy wheels. It has been Pumpkin Certified, fully serviced and professionally detailed. We have warranties and financing available for those that qualify. Call us at (609)646-7676 or log onto our website at http://www.pumpkincars.com/om/. You can find personalized driving directions to our unique indoor showroom on our website, as well as a complete list of all of our pre-owned, pristine vehicles. To schedule a test drive, contact us and we'll make sure we're ready when you arrive. Egg Harbor Twp's 300th Anniversary Bash! This event is sponsored by the EHT 300th Committee. Funds used and services provided come from our Sponsors generosity. Due to unforseen circumstances some activities may have to be altered. Today we are featuring a 2003 C240 with 87,893 original miles. The classy white exterior with tan leather interior is complimented flawlessly by the Laurel Wood Trim. This c ute little 4-door sedan has tons of extras, making this an exceptionally great find. The original window sticker shows a selling price of $37,045 with over $4,000 in additional options. We have this pre-owned vehicle listed at only $11,995, well below book value. Some of the extra installed options include Bi-Xenon headlights, an AM/FM/Weatherband Cassette Radio with a 6-disc CD Changer and power/heated seats with memory positioning. Additional standard features include auto-dimming rear view mirrors, a moo n roof, a power rear sunshade and of course power windows, locks, steering and mirrors, cruise and tilt. This pre-owned vehicle comes with a clean title history, no flood or frame damage and no reported accidents. It has been fully serviced and professionally detailed by our own in-house detailer. This pre-owned C240 has passed our standard Pumpkin certification and is ready for a new home. We have financing available and warranties for every budget. If you would like to see more photos or information on this vehicle, log onto our website at http://www.pumpkincars.com/. Currently, we are loaded down with Mercedes Benz C-Class vehicles, just like this one. Some are a bit older with more mileage and some are newer with less mileage. So if you like this style vehicle but maybe this one isn't exactly what you are looking for, then check out our other pre-owned c-class Benz's on our website by clicking here. As always, Pumpkin Fine Cars & Exotics is the only choice in southern New Jersey when searching for, and finding, exactly what you want. Whether driving away in one of our pre-owned vehicles or special ordering one to your specifications, we can guarantee that we can get you into the car of your dreams for the price of your dreams! Now that everyone is recovering from the holiday season and getting bac k to the usual routine, we have yet another holiday approaching, Martin Luther King, Jr Day. Lots of businesses and government buildings will be closed in observance of the great Martin Luther King, Jr. but not to fear, Pumpkin is here! This Monday, January 18, 2010 we will remain open and operating during our normal business hours of Monday-Friday 10:00am - 6:30pm, Saturday 10:00am - 3:30pm. If you're in the market for a pristine pre-owned vehicle, no matter what your budget is, and you have the day off, stop on by and take one of our classic Mercedes Benz, BMW's or Honda's for a no-obligation test drive. If you don't have the day off, stop by anyways, before or after work. All of our inventory can be viewed in advance online at http://www.pumpkincars.com/ so i f you know just what you are interested in driving, you can call ahead and we'll make sure the car is pulled out and ready for your arrival. We have financing available for those that qualify and we have custom warranties for every vehicle and every budget. If you have never been to our unique indoor showroom, you can find detailed driving directions on our website as well. For more information on Pumpkin Fine Cars & Exotics, the history behind the dealership's name, the owner, Franck Freon or to view testimonials from our loyal Pumpkin friends and family, log onto http://www.pumpkincars.com/. We thank you again for visiting our daily blog and we want to wish everyone a very safe and happy holiday weekend. Welcome to Pumpkin's "Car of the Day". 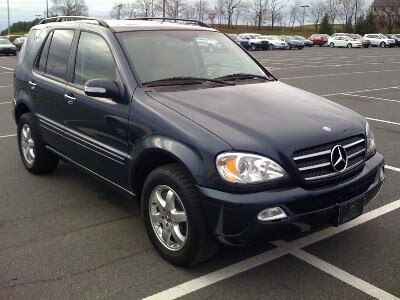 Today we are featuring a 2003 Me rcedes Benz ML500. Dark Blue exterior on soft tan leather interior, this preowned Mercedes provides plenty of power with its V8, 5.0 liter engine. This Benz comes fully equipped with plenty of extras including 4-wheel drive, a Navigation system, AM/FM Stereo with a 6-disc CD changer, power/heated seats, a moonroof, and much more! We fully service and detail each and every car in stock, making them Pumpkin Certified. Please stop by our unique indoor showroom, for a no-obligation test drive today. You can find detailed driving directions or feel free to check out the rest of our fabulous preowned inventory at http://www.pumpkincars.com/. Call us at (609)646-7676 for more information. As always, dive safe and happy motoring! If you ar e looking for some extra cash or trying to get rid of an extra car taking up space outside your house, come into Pumpkin Cars for a free appraisal. We will be happy to take the vehicle off your hands. Depending on the quality of the vehicle will determine the price of the car. Here at Pumpkin Cars we have purchased all different makes and models pricing from $2,000 all the way to $40,000. Please call before coming in to schedule an appointment, our phone number is (609)646-7676 and our hours of operation are Mon-Fri 10am-6pm, Sat 10am-4pm. Please visit us on our website, http://www.pumpkincars.com/, for more information. You can find detailed driving directions on our site as well as a complete list of our preowned inventory. 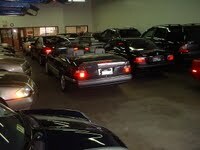 Pumpkin Fine Cars has lowered the prices on many of our pristine vehicles to start the new year off right. Here is a 2004 645ci with 58,000 miles. 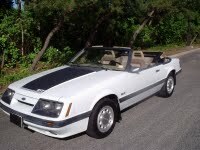 We had the car at $30,495, now it is listed for $28,995. The car comes fully equipped with the premium winter package, heated/power seats (with memory), power windows, sunroof, 6 disc CD changer, heated steering wheel, 18 inch alloy wheels, navigation, Xenon headlights, and auto dim. The Beamer also includes a BMW service program until March 2010. 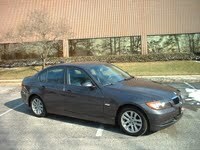 Another great buy in stock is this 2007 BMW 328i. 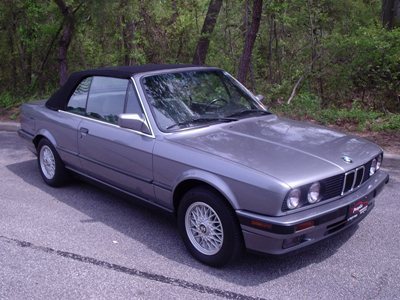 Originally listed at $24,995, now it is at $23,995, you will not find another 3 series of this quality else where. Driven 30,500 certfied miles since new. Titanium Silver Metallic on soft black leather makes the perfect color combination. This car is still under factory warranty until February 2011, and also has a special CPO warranty by BMW until February 2013. This 328i has plenty of power with its V6 2.8 liter engine, and includes a lot of options including power and heated seats with memory positioning, power windows, power locks, moonroof, CD changer, master controls on the steering wheel, crusie control and much more! Here at Pumpkin Cars we are running a special to kick in the new year by lowering the prices of our high quality pre-owned inventory. Here is a 2006 Mercedes CLS500, oringally $38,999, now it is at $36,999. The Benz comes loaded with plenty of extra options, and is still under factory warranty until July 2010. You will not find another CLS as nice as this for the same price. Here is another Mercedes Benz we have in stock thats price has been redu ced significantly. A 2007 Mercedes Benz S550. We had this Benz listed at $49,995, now we have it for $47,995. This Benz also comes well equipped with a long list of options. It is also under factory warranty until July 30, 2010. Once again you will not find another S550 of this quality for a lower price. Like every car at Pumpkin, both these vehicles have a clean title history. NO flood or frame damage. Please stay out of the cold and come visit us in our unique indoor showroom, to see the rest of our beautiful inventory.